Can you be fit and healthy even if you’re overweight? That’s the question researchers at York University’s Faculty of Health set out to answer in a new study that shows physical activity may be equally and perhaps even more important than weight for people living with severe obesity. According to the recent study, led by Jennifer Kuk, associate professor in York University’s School of Kinesiology and Health Science, and collaborator Dr. Sean Wharton, MD, medical director of the Wharton Medical Clinic and adjunct professor at York University, individuals with severe obesity who are fit have a similar health profile to those who weigh significantly less than them. 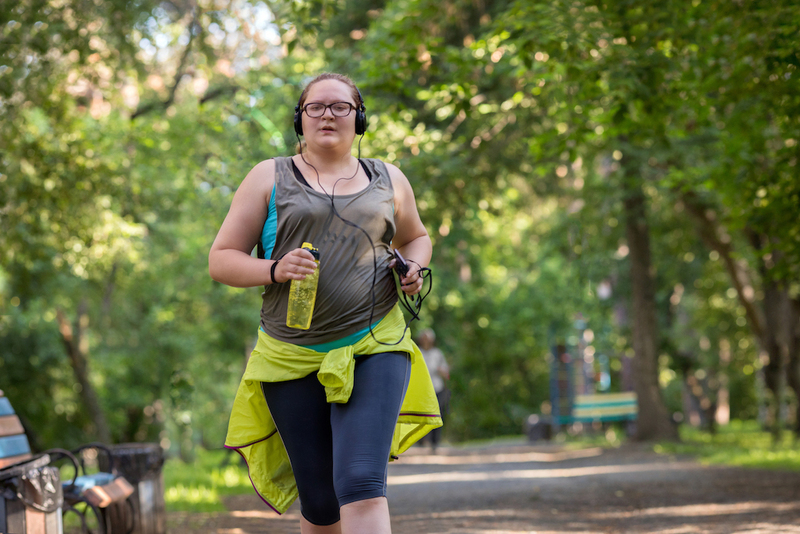 The goal of the study was to look at the benefits of cardiorespiratory fitness on cardiovascular health in populations with mild to severe obesity. The results suggest individuals with even severe obesity, or a BMI greater than 40, can be fit and healthy. Kuk says doing 150 minutes of exercise per week, as per physical activity guidelines, generally translates to less than half pound of weight loss. Nevertheless, this amount of exercise can mean dramatic improvements in health for those with severe obesity. Data was gathered from 853 Canadian patients attending Wharton Medical weight management clinics in Southern Ontario. Individuals completed a clinical exam which included fasting blood measures and a maximal treadmill stress test. The amount of fitness necessary to achieve health benefits was far less than what most individuals would think. The research showed that the greatest health benefits come from avoiding the lowest 20 per cent of fitness levels. This means that 80 per cent of people are fit enough to get health benefits. In this study, 41% of participants with mild obesity had high fitness levels, while 25 per cent and 11 per cent of the participants with moderate and severe obesity, respectively, had high fitness. Individuals with severe obesity were more likely to have high blood pressure, glucose, and triglycerides if they were in the lowest 20 per cent of fitness levels, but were not more likely to have these issues if they were in the 80 per cent group. Earlier research has shown that much less physical activity is required to improve health than is needed to lose weight. However, this is some of the first research suggesting that physical activity may be more important for people living with severe obesity.